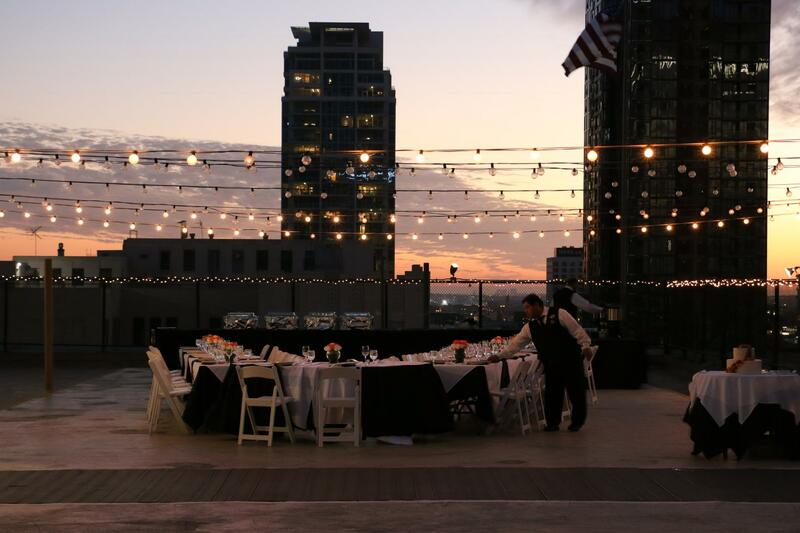 Rent Los Angeles Athletic Club | Corporate Events | Wedding Locations, Event Spaces and Party Venues. Business meetings, Weddings, Award presentations and Dinner galas are all at home at the Club. The classically elegant and spacious Centennial Ballroom with its towering ceilings, original art pieces, and wood-paneled pillars is the perfect venue for larger groups. The Los Angeles Athletic Club was recently selected as one of the best private clubs in America, receiving Platinum Club of America status. Our private club is known for outstanding food and excellent service. Facilities for meetings and social events range in size from intimate dinners of 10 to cocktail receptions of up to 700 people. Business meetings, Weddings, Award presentations and Dinner galas are all at home at the Club. The classically elegant and spacious Centennial Ballroom with its towering ceilings, original art pieces, and wood-paneled pillars is the perfect venue for larger groups. Nine meeting and conference rooms are available for smaller groups or business meetings. Membership in our private Olive Club is an exclusive feature you will enjoy when you choose LAAC for your event. We believe in solid furnishings and a firm handshake. We are, by nature, social animals, and it is often said that its good to be gregarious. As a member of Los Angeles Athletic Club, you will be invited to attend wine tastings, seminars, and other exclusive social events. Offered periodically throughout the year, these exciting and rewarding activities provide excellent opportunities to mingle with other members, learn new things, and have some fun. So join up and join in. Get up, get out, and socialize.